The Ashanti Regional Police Commander, Mr Ofosu-Mensah Gyeabour, has dismissed an accusation levelled against him by the Member of Parliament (MP) for Wenchi West, Mr Johnson Asiedu- Nketia, to the effect that he (Mr Gyeabour) is an ally of the New Patriotic Party (NPP). He also rubbished the allegation by the MP that he was implicated in a cattle-stealing case in Wenchi when he was the Divisional Commander of Police for the area.Mr. Gyeabour, who expressed concern about the remarks purported to have been made by the MP and which was carried in an Accra private newspaper on May 27, said, the allegations were a deliberate attempt by the MP to cast a slur on his hard won reputation as a competent police officer. The said story accused Mr Gyeabour among others, as having been planted by the NPP government to arrest armed robbers. The report indicated that, the ruling government had tolerated the Ashanti Regional Police Commander “who was implicated in a cattle stealing case in Wenchi, because he is an agent of the government”. 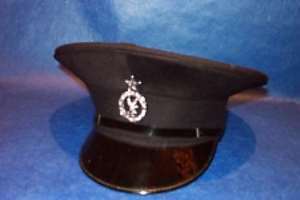 In an interview in Kumasi, Mr Gyeabour pointed out that the accusation was baseless because as a professional police officer, he had never reneged on his professional ethics to be fair and firm in the handling of all cases that appeared before him.“I have also never been seen actively participating in any political event or suppressing any political group since I became a policeman” he stated. He stressed:“I would also never fail in taking a firm decision against anyone who would breach or threaten the peace of the nation, irrespective of the person's status”. On the accusation that he was implicated in a cattle-stealing case, Mr Gyeabour explained that when Mr Asiedu Nketia failed to prove the case after petitioning the Inspector General of Police (IGP) last year, the MP had resorted to the use of the media to tarnish his image. He explained that when the Wenchi West MP petitioned the IGP on the issue, an independent committee was set up by the Police Administration to investigate the allegation and make recommendations.He said after the investigations, the committee found nothing to implicate him on the fraudulent allegations by Mr Asiedu Nketia, but rather commended him for exhibiting a high sense of professionalism when the cattle stealing case was reported to him. Portions of the police report issued from the Police Headquarters in Accra on June 17, 2003 and signed by Chief Supt. Baffour Apenteng, indicated that, “ investigations conducted so far does not suggest any wrong doing on the part of the two Senior Police Officers, namely ACP/ Ofosu Mensah Gyeabour and C/Supt Attianah whom the petitioner seeks to implicate”. The report further noted that, “the two officers exhibited high sense of professionalism as far as the case was concerned”.Mr Gyeabour pointed out that notwithstanding the fact that Mr Asiedu Nketia was given a copy of the police investigation on the allegations the MP levelled against him, he had continued to make unfounded allegations against him for reasons difficult to understand.